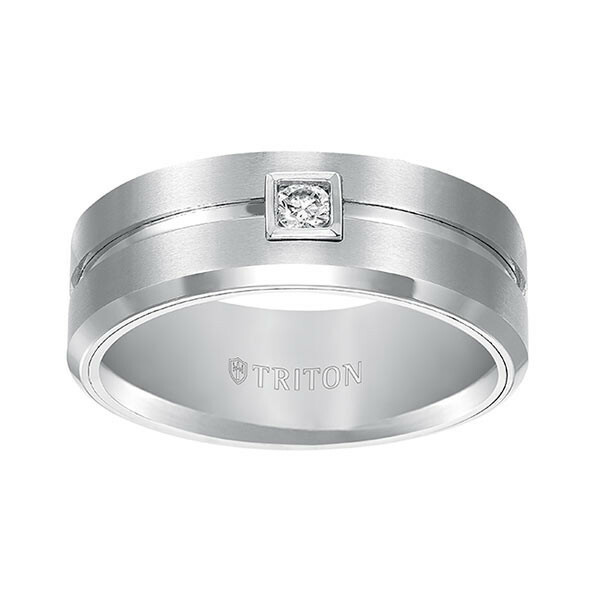 Get ready to make a bold statement with this gent's ring from Triton! 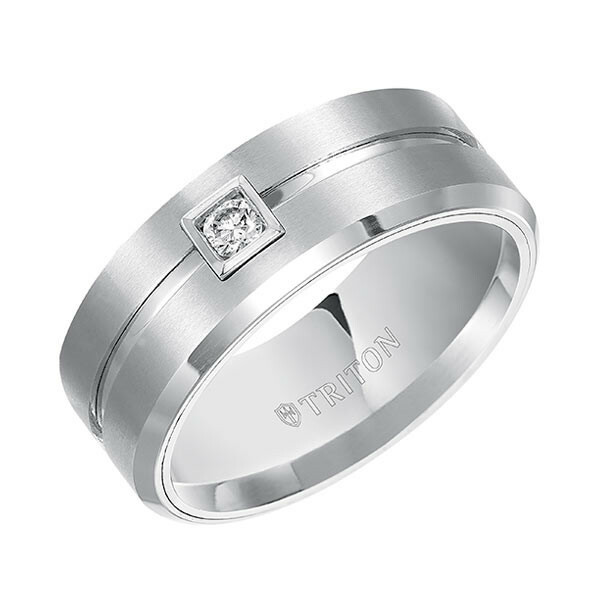 Crafted in white tungsten carbide, the 9mm wide piece features a brushed finish with a high-polish recessed center groove upon which a single round diamond in a square bezel rests radiantly. 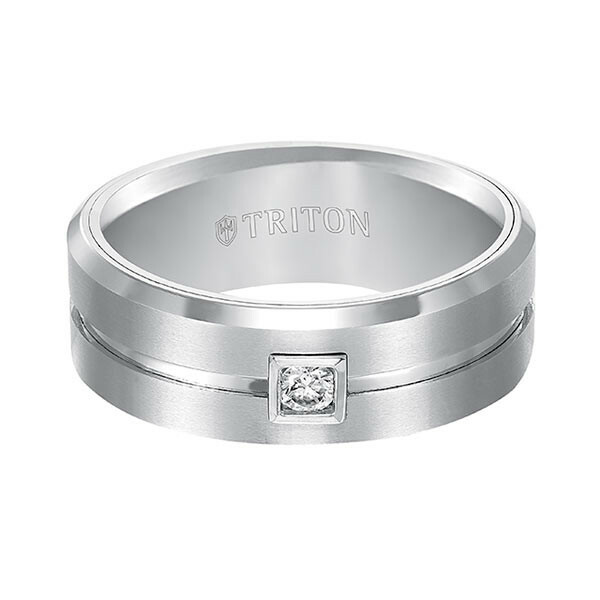 With beveled edges and a comfort fit, this Triton men's wedding band is flat-out fabulous and in fashion!